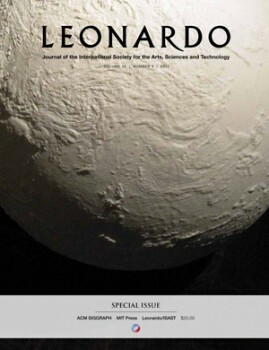 A Planetary Order (Terrestrial Cloud Globe) article and on the cover of Leonardo Journal volume 45, issue 4, 2012. 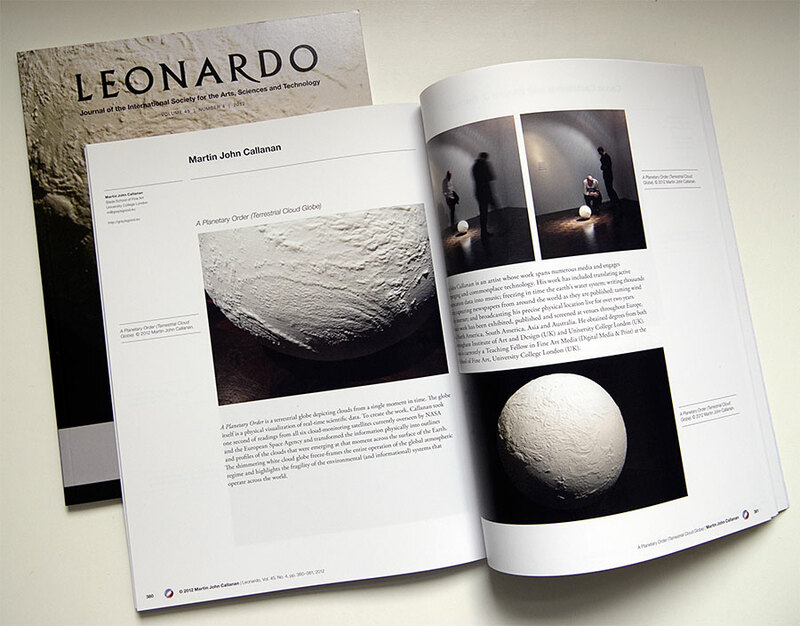 Leonardo is today’s leading international journal on the application of contemporary science and technology to the arts and music and, increasingly, the application and influence of the arts on science and technology. With an emphasis on peer reviewed writings by artists, the journal seeks to ensure that the artist’s voice is integral to the development of new technologies, materials, and methods.